Rexel boardroom tables, made to order in the UK in 15 finishes, the Rexel boardroom tables are a stylish and economical choice of boardroom table. The rexel boardroom table comes with free delivery and installation to mainland UK, so you can be assured your table will be built to the highest standards. The Rexel boardroom tables give you the choice and flexibility of a top end boardroom table without the cost. 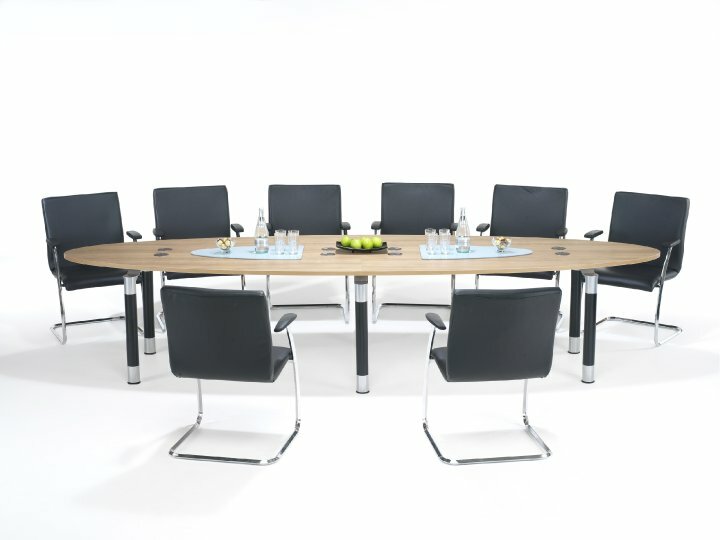 the rexel boardroom table can even be customised to meet specific requirements. To compliment the rexel range of boardroom tables, there is a matching range of office storage, the finishes available in the rexel range will also match with many of our other furniture ranges including office desks and bench desks. This enables you to create an entire scheme using the same quality office furniture and ensuring a consistent finish. To further compliment our range of Rexel boardroom tables we offer a free deign and space planning service, managed in house by our team of designers and project managers we will produce a 3D visual of your new boardroom so you can see exactly how it will look before going ahead. This also enables you to experiment with styles and sizes until you find the solution that best meets your needs. 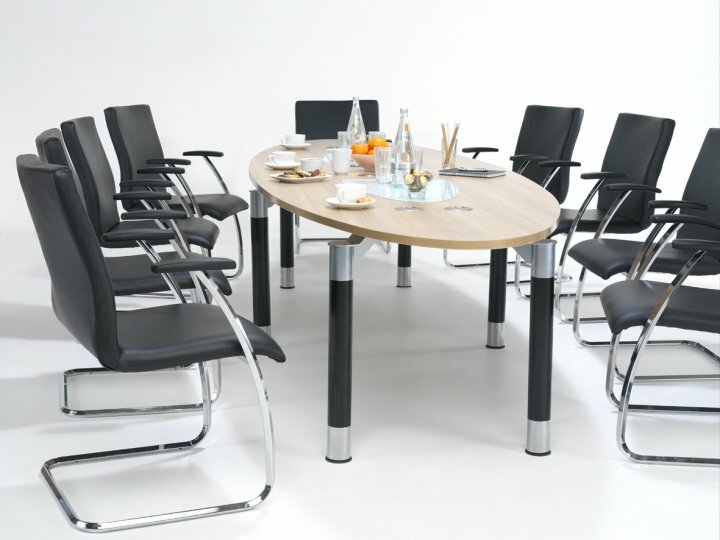 Contact our team today or browse our range of boardroom tables.